Since 1930, Podowell® has designed and manufactured orthopedic footwear which is ideal for those who have sensitive or painful feet. 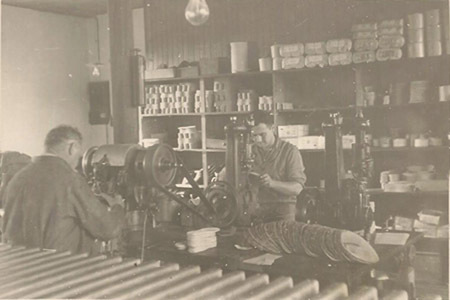 Each year, we manufacture thousands of pair of shoes in our factory located in Thiviers (south west of France), the hometown of the founder. Today, thanks to our experience and our technical innovations, we have become the French specialist for comfortable shoes. The collaboration between Podowell® and the orthopedic industry has resulted in a variety of innovative shoes that provide a stable and comfortable fit for every lifestyle. Not only are Podowell® shoes great for tired feet, they are also ideal for patients suffering from ulceration, neuropathy, diabetes, oedema or post-operative swelling and bandages. We offer a wide range of roomy, flexible and washable footwear with a touch of French elegance. 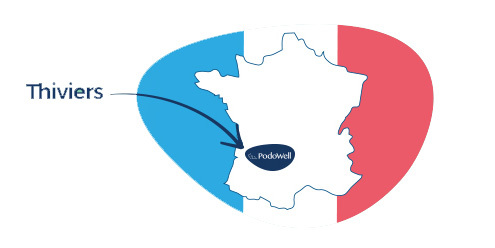 Podowell® products are designed and developed in our factory in the south west of France. Not only are our products comfortable but also elegant, fashionable and innovative. Our main concern is to give you impeccable service and flawless quality products. For that, our designers work closely with suppliers to find the best raw materials which comply with European standard. The combination between our know-how and technical materials has resulted in a wide range of innovative and qualitative products. Nowadays, we live increasingly longer and our feet are subject to aging hardships. So, many people are looking for very comfortable, easy to live with and perfectly suited shoes to the well-being of their tired feet. For many years now, Podowell® got involved in the ADOCS’ researches. ADOCS is a French program which aims to improve the offer of shoes for seniors. This study was initiated by the department of Trade and Industry, the French Shoe Federation, the Leather Technical Centre and a group of French companies that were chosen for the quality of their products. It aims to improve the products that companies can offer to meet the requirements of customers in terms of estheticism and technicity. The exportation of Podowell® shoes started many years ago and since then the number of export customers has never stopped increasing. Customers from all over the world have been convinced by our products. 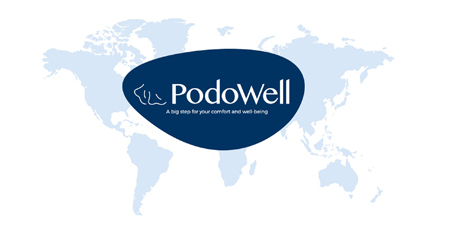 Podowell® has become the preferred supplier to healthcare professionals in more than 30 countries over the 5 continents. From Canada to Japan, from Scandinavia to the Middle East, Podowell® products are known and appreciated all over the world. Our export team will be pleased to be at your disposal for any question you might have.